Dennis O'Rourke's Cannibal Tours (1988) is a classic anthropology film filled with thought-provoking observations about the problems of documentary representation. The film depicts a group of "first world" tourists as they encounter the "third world," snapping pictures and buying trinkets up and down Papua New Guinea's Sepik River. O'Rourke wrote (in this 1999 essay) "As my film evidences, modern-day tourism is, in a sense, the successor to the colonial expeditions." 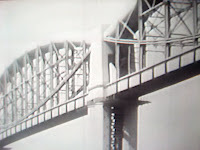 The silent documentary, Manhatta (1921), was shot with a 35 mm film camera by photographer Paul Strand and artist Charles Sheeler. 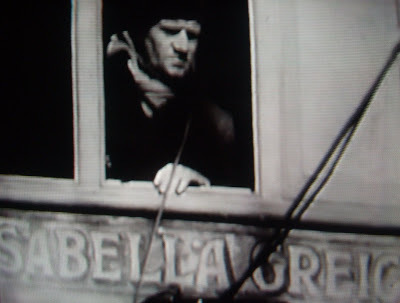 Recently restored from a single remaining print, the short film feels experimental and fresh in its combination of Walt Whitman's poetry and dramatic shots of New York City. Always Been A Rambler (2009), by Yasha Aginsky, tells the story of the New Lost City Ramblers, the band that kicked off the revival of old-time music. The film is a celebratory tribute to the musicians who participated in the group (Mike Seeger, John Cohen, Tracy Schwarz and Tom Paley) and to their legacy, fifty years on. Heinz Bütler's Henri Cartier-Bresson: The Impassioned Eye (2003) is a charming and fascinating window into the life's work of the French photographer. Cartier-Bresson himself, near the end of his life, talks about his experiences and methods. A range of enthusiasts offer their appreciations; Arthur Miller, for one, mentions a special photograph of Marilyn Monroe (above). A luscious selection of photographs, such as the surrealist-influenced photo of a man and shoes (third still) and a gritty view of New York City, goes beyond Cartier-Bresson's best-known images. The Cove (2009), by Louie Psihoyos, documents the hidden slaughter of dolphins in Taiji, Japan. The film has the verve of a cloak-and-dagger thriller, with Psihoyos assembling a crack team of divers, cameramen, and technicians to investigate and record the senseless killings. The story's antagonists are pro-whaling bureaucrats and angry local fishermen. Tireless activist Ric O'Barry (black and white still, in his earlier days) provides the moral center to a riveting film. The Vancouver games brings to mind Werner Herzog's short film, The Great Ecstasy of the Sculptor Steiner (1975). Ski jumper Walter Steiner's flights are beautifully photographed, and the music, by Popul Vuh, is a perfect fit. Herzog's commentary in this film (bottom still) has the same intensity as in his memorable interviews in Les Blank's Burden of Dreams (1982). Esfir Shub used newsreel, archival , and salvaged footage, including the Tsar's home movies, to put together the epic Fall of the Romanov Dynasty (Padenie dinastii Romanovykh), in 1927. The film deliberately and convincingly shows the negative aspects of the gentry and clergy in the years leading up to the Russian Revolution. The scenes of soldiers during World War I and workers from all over Russia are intercut with set pieces showing their fat cat exploiters. Tsar Nicholas abdicates at the end, and a few triumphant views of Lenin are included. Is this film the ancestor to today's archival compilation docs? Unmistaken Child (2008), by Nati Baratz, beautifully observes character by watching faces, particularly those of Tibetan Buddhist monk Tenzin Zopa (top) and the child he has sought out as the reincarnation of his now-dead master. Just enough facts and exposition allows the story to be told visually, and every moment of the film holds one's interest. Rain (Regen) by Joris Ivens and M.H.K. Franken is a silent documentary made in 1929; Ivens was co-director, cinematographer, and editor. The film explores Amsterdam in the rain, with splashy city scenes and wet people, autos and streetcars, and masses of umbrellas. Ivens often composes through windows or otherwise frames objects within the frame. Rain's meditative feel, along its lovely visuals and careful structure, is echoed in many present-day art documentaries. 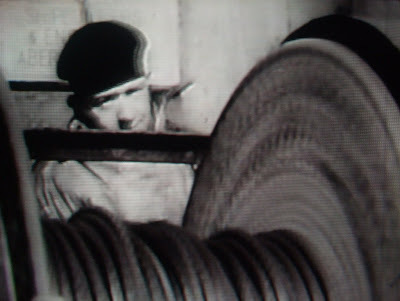 Industrial Britain (1931), with its voice-of-the-British-Empire narration and warhorse classical music, is a period piece of early documentary style. Scenes of coal miners seem to come straight from George Orwell's book, The Road to Wigan Pier. 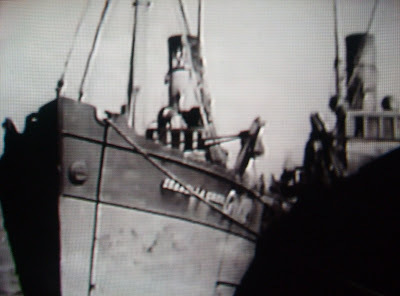 Granton Trawler (1934) is an early British documentary that is entirely observational, with no narration and subtle location sound of seagulls and fishermen on a North Sea fishing vessel, the Isabella Greig. 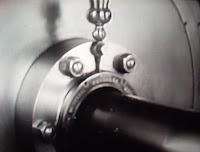 John Grierson's cinematography and Edgar Anstey's editing were originally done for a silent film; audio was added later. Well-composed shots of the fishing process, you-are-there ocean swells, and clouds of seagulls establish a mood that seems more like a contemporary documentary than one from the 1930s. Tomboychik by Sandi DuBowski (1994) edits together a series of encounters between the filmmaker and his grandmother, who perhaps knows more about her grandson than he realizes. DuBowski said, "'Tomboychik' was done as a bargain basement piece -- it started out just as an oral history….no lights, just the camera sound….you don't have to have a lot of money and resources to make video." The result is a useful early example of video self-reflection.